Boris Johnson is a British Politician, well known for his unconventional public persona. He is the Secretary of State for Foreign and Commonwealth Affairs, and MP for Uxbridge and South Ruislip. 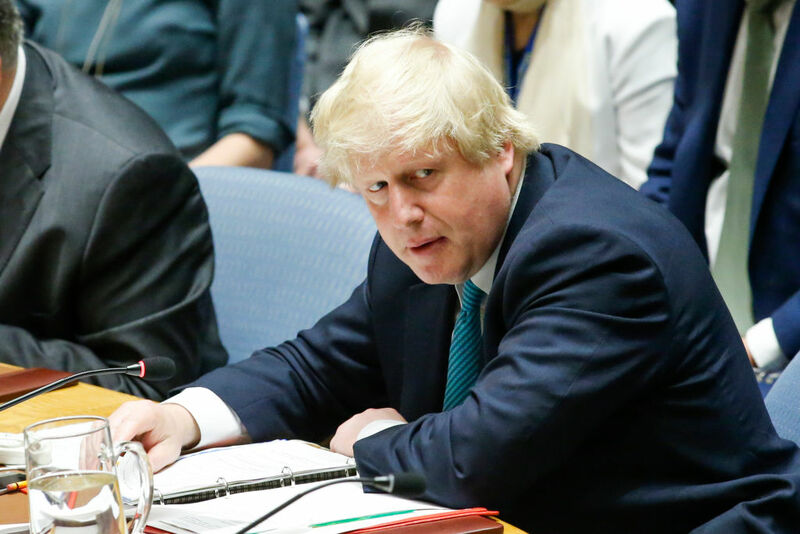 Who is Boris Johnson, how old is he, when is his birthday, how tall is he, what university did he attend, where was he born and what is his background? Alexander Boris de Pfeffel Johnson is a Conservative Party politician, journalist and historian. He was born on June 19 1964 in the Upper East Side of Manhattan, New York City. He was born to British parents, giving him dual citizenship; his father was studying at Columbia University at the time. Johnson is 54 years old and is 1.75 metres tall. In his childhood he was severely hearing impaired, needing grommets to be fitted. Johnson moved around a great deal in his early years, owing to his parents’ work and studies, and the eventual breakdown of their relationship. He was raised closely with his siblings. He attended Eton, before going to Balliol College at Oxford University. He began a career in journalism, before standing as a Conservative MP in 2001. He was elected as Mayor of London in 2008, before returning to parliament and becoming heavily involved in the Brexit campaign. Why is Boris Johnson famous and what is his occupation? Johnson is the Secretary of State for Foreign Affairs, as well as a journalist, author and historian. He is the former Mayor of London and is perhaps best known for his public persona, which is quite different to that of a usual politician. 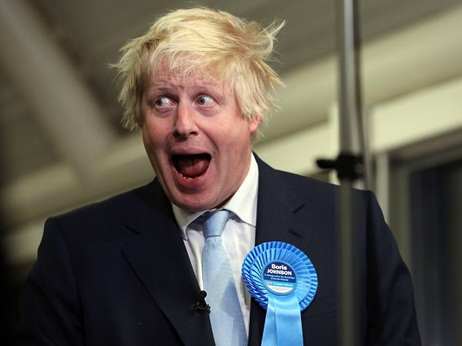 Often appearing dishevelled and disorganised, Johnson polarises public opinion.YouGov’s opinion survey user’s have described him as a ‘buffoon’ and ‘untrustworthy’ as well as ‘charismatic’ and ‘humorous’. What is Boris Johnson’s net worth? Although his net worth is not known, an article on London Loves Business states that Johnson is a millionaire. How much does Boris Johnson earn? Johnson’s 2014 to 2015 tax return shows his earnings as being £612,583 for that year. How much does Boris Johnson weigh? Johnson is estimated to weigh 238 pounds or 108kg. Is Boris Johnson married, who is he married to, what is his sexual orientation, who has he dated? Johnson’s first marriage was to married to Allegra Mostyn-Owen in 1987; their marriage was dissolved in 1993. Later in 1993, Johnson married Marina Wheeler. They have four children together. Johnson is straight. In 2009 he fathered a child during an affair with Helen MacIntyre. Is Jo Johnson related to Boris Johnson? Boris Johnson is the older brother of Tory MP Jo Johnson. What did Boris Johnson call Jeremy Corbyn? Johnson called Corbyn a ‘mutton-headed old mugwump’. The Oxford English Dictionary defines a mugwump as ‘a person who remains aloof or independent, especially from party politics’. What has Boris Johnson got to do with Brexit, what has he said about Brexit, did he support and campaign for Brexit? Johnson initially refused to be drawn on his Brexit opinion but eventually showed his support for the ‘Vote Leave’ campaign. He has described Brexit as ‘unstoppable’. He was involved in some controversy when responding to Barack Obama’s call for Britain to remain; he claimed that the then US president was motivated by anti-British sentiment caused by his Kenyan ancestry. Boris Johnson speaks French and Italian fluently, as well as some German and Spanish. He studied Latin and Ancient Greek at boarding school. Where does Boris Johnson live? Johnson lives at the official Foreign Secretary’s residence of Carlton House Terrace, in the St James’s area of Westminster in London. Does Boris Johnson have kids, what are their names? Johnson has four children with his wife. Their names are Cassia Peaches, Lara Lettice, Milo Arthur, and Theodore Apollo. He also has a daughter, Stephanie, from an affair. How many houses does Boris Johnson own? Boris Johnson has access to many residences owing to his role as Foreign Secretary. He is known to have bought and sold houses in the past but there is no currently available information on how many properties he currently owns.